Whether you are new to the Bay Area or have been here a while, there are things you need to know to ensure success with your tax planning, immigration status and current and future finances. Navigating the immigration laws, establishing your credit history, understanding the taxation system, and oh, what to do with that UK pension you left behind? While these issues may seem separate, your decisions about one issue, may negatively, or positively, impact one of the other areas. This is your chance to get your questions answered from a panel of experts in tax, immigration law, banking and UK pensions. You will also get a chance to connect with people who are in the same situation as yourself. Join us for networking with food and wine at 6:00 pm, the panel session will start at 6:30 pm. Do I have to declare my worldwide assets and/or worldwide income when I file my tax return? I will only stay in the US for a short period of time; can I claim some tax back when I leave? I want to transfer some money from Europe to my US bank account; do I have to declare something? How do I obtain a good credit score? Why is a good credit score important and what should I know that will negatively impact it? Now that I'm here legally, how quickly can I get a Green Card? Can I transfer a UK pension plan to the United States? What can I do with my UK Pension now I have moved? What are the new UK pension flexibilities introduced in 2015 and dow do they affect me? Is a QROPS a good idea? How difficult is it to change employers? Do I have anything to fear from the Trump Administration on the immigration/Visa front? Anthony Amodei is a Tax Manager at Spott, Lucey & Wall, Inc. CPAs in San Francisco, California. Since 2012, Anthony’s work has focused on accounting and tax compliance services for individuals and businesses with international complexities. 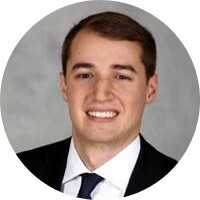 Anthony is a certified public accountant and holds a Bachelor of Science degree in Accounting from Marquette University, a Master of Science in Accounting degree from Marquette University, and is currently completing a Master of Science in Taxation from Golden Gate University. Anthony is an active member of the California Society of Certified Public Accountants, and regularly attends various international business events around the Bay Area. Jim Mayock leads the law firm of E&M Mayock, which practices the full range of business immigration law. We make the hiring of international personnel a competitive advantage. The firm specializes in employment-based "green cards" and work-authorized visas. E&M Mayock offers 35 years of sophisticated expertise, managing successful applications for the entire range of immigration opportunities. We drive the rapid processing of E Investor, H Professional, L Transferee and O Rockstar petitions. We facilitate business visa issuance abroad when consular officers become stingy. We find shortcuts to the onerous PERM Labor Certification process, leading to faster green cards. Bringing the world's best and brightest to America! Jason is an international growth consultant and advisor, with over fourteen years of successful experience in management consulting, business development, finance, advising, sales and marketing. With experience in Global Fortune 100 and start ups, he has led a diverse set of important initiatives resulting in hundreds of millions of dollars in revenues and transactions. 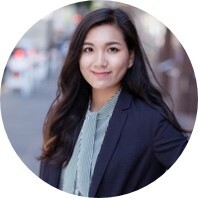 From investment advising in Europe, to project management of global IT projects, to marketing for national US consumer electronics companies, to business development for California start up technology companies, to sales for New York real estate firms and consulting for private equity, investment banking & technology firms. Jason has a diverse but in-depth back ground. He was a key team member of the once junior company assisting it to quickly grow to over a billion dollars in revenue, an early team member of the then idea phase technology company helping it become worth over $40 million and has additionally started, advised, turned around, managed & consulted to numerous companies. Jason is passionate about technology entrepreneurship and has been involved in numerous start-up ventures. As an entrepreneur he has been actively involved in social media & online networks for over five years and sees the both the mass consumer and niche networking of humanity as a growing market.